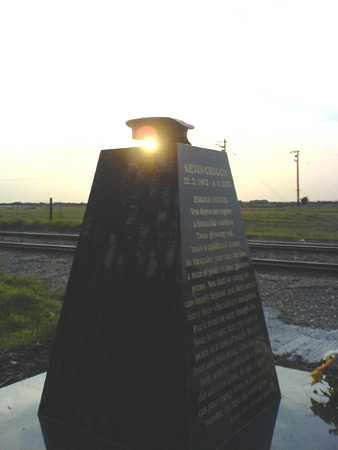 During last winter - a memorial was erected at Dymchurch in Kent for Kevin Crouch - a young engine driver on the Romney, Hythe and Dymchurch Railway, who was tragically killed in an accident on the railway during 2003. 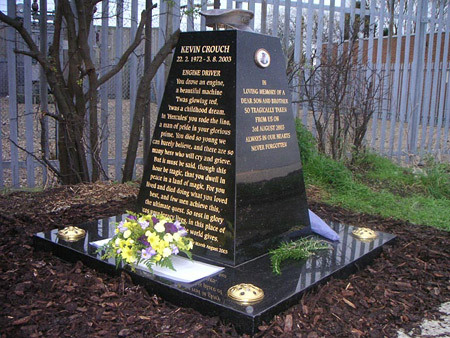 Jayl was privileged and honoured to have a poem he wrote in memory of Kevin inscribed in full upon the monument. 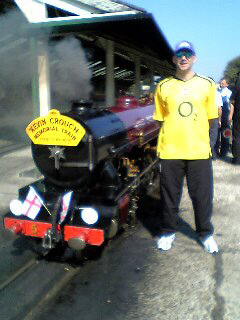 On Sunday 4th September - a special train was run to raise money for the Kevin Crouch Memorial Garden. 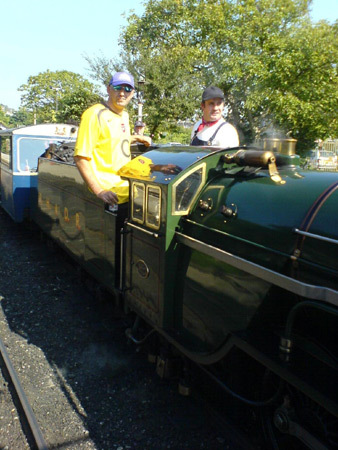 Both Jayl & Jimmie Bone were delighted to be special guests of the Crouch family and Jayl was absolutely thrilled to ride the engine itself with driver Jon Emmins. 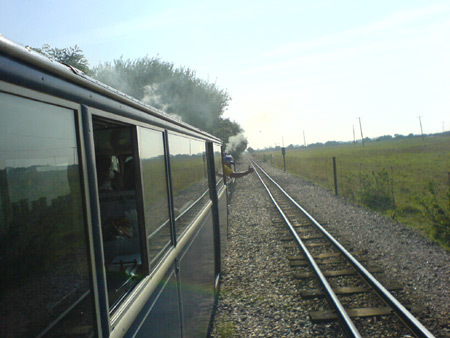 He now feels ready to drive his own steam engine! Please visit the Kevin Crouch Memorial Website where you can read the poem and leave your own tribute to Kevin by signing the guestbook.